Many consider the 1955 Mille Miglia to be the greatest win of the legendary Stirling Moss’s career. 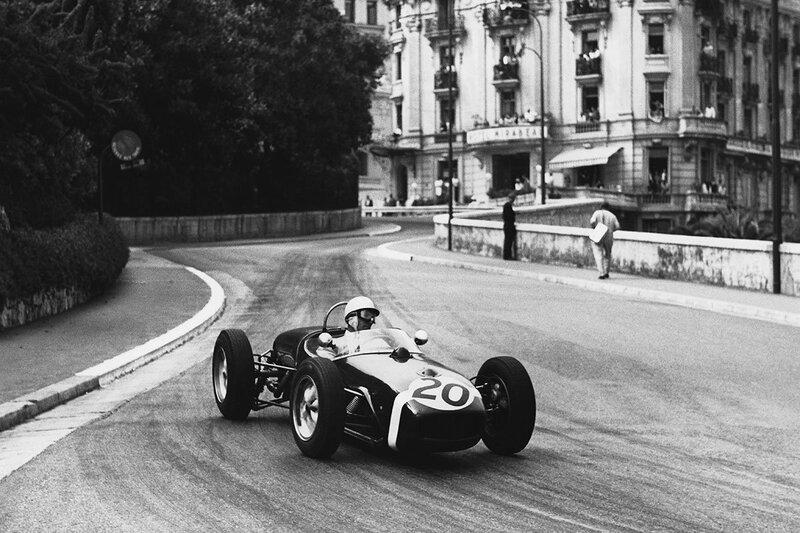 But his most celebrated Formula One success has to be the 1961 Monaco Grand Prix. And so it is with great excitement that we can announce that SMTS will be producing his Lotus 18 from that race in 1:18 scale. We can’t believe that no other model manufacturer has considered replicating this illustrious car before. The 1961 Monaco Grand Prix wasn’t so much a case of David versus Goliath, but David versus three Goliaths. It was Stirling Moss in his nimble Lotus 18, ranged against three of the Ferrari 156 Sharknoses that would go on to dominate the 1961 season. These were driven by Richie Ginther, Phil Hill and Wolfgang von Trips. Come race day the weather was sweltering, so Moss’s team removed the side panels from his car to provide him with some much-needed extra ventilation. Moss had extracted every last ounce out of his Lotus to take pole position, but was beaten to the first corner by Ginther. Stirling reasoned that he had to get back in front as soon as possible, and achieved this on lap 13. He was then hounded by the trio of Prancing Horses for the remainder of the event’s 100 laps, securing victory by just three seconds in a race that took two hours and 45 minutes to complete. Moss had soaked up all of the pressure that the scuderia could throw at him, and put in a performance that would go down in folklore. 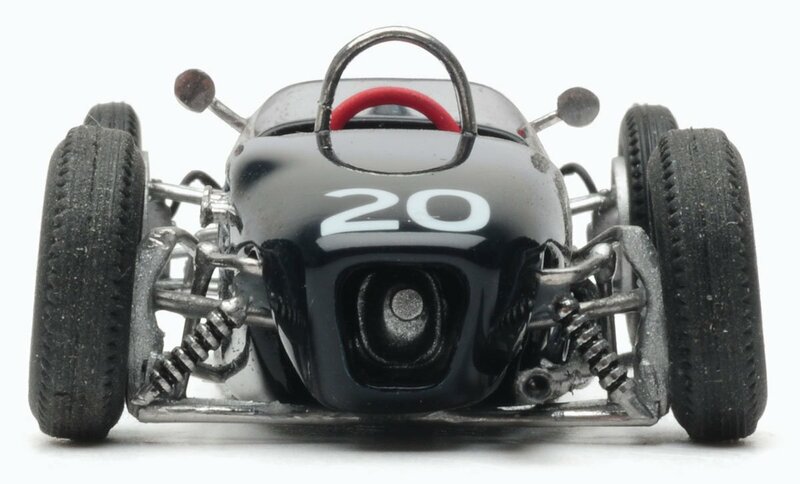 As with the 1:18 Moss Vanwall, this car will be produced by our friends at SMTS in Hastings. It will be the next subject in their series of 1:18 Moss cars, even though we announced in last month’s issue that the company will also be producing Stirling’s Cooper from 1950. Work has already begun on the designing and prototyping of the replica, but delivery will not begin before the second half of 2019. The guys at SMTS are brilliant, but all their models are painstakingly put together by hand. They do not roll off of a production line. We mention this because it can pay to be at the front of the queue!